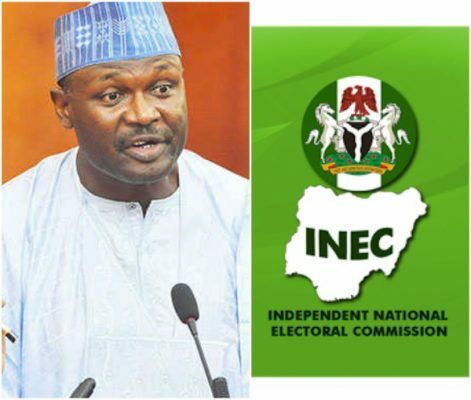 The Independent National Electoral Commission (INEC) on Thursday released timelines for the conclusion of the state elections suspended due to alleged violence, even as it fixed April 2 to April 5 for the collation of results for Rivers State Governorship election. The INEC National Commissioner in charge of Information and Voter Education, Barrister Festus Okoye, revealed this at a press conference at the Commission’s headquarters in Abuja. On Supplementary elections, Okoye said that the election scheduled for Saturday, March 23, would take place in 18 states. “Some of you are already aware that the commission has conducted elections in 29 states and returns have been made in 22 of those states. Barr. Okoye explained that due to litigation initiated by the ruling All Progressives Congress (APC) and its Candidate Muhammed Abubakar, on Bauchi State Governorship election, the collation of results in Tafawa Balewa Local Government area will be put on hold. He, however, pointed out that while the commission has complied with its policy to obey all court orders, in defence of the rule of law, it had also taken urgent steps to vacate the order and dismiss the action. “It should, however, be noted that the litigation and consequential order only affect the collation of results for the governorship election in Tafawa Balewa Local Government area. “Consequently, the supplementary elections will proceed as scheduled on Saturday, March 23, in the other 15 Local Government areas of Bauchi State, as well as the Kirfi State Constituency Supplementary election in Kirfi Local Government area. “Notwithstanding the legal action over the Supplementary Governorship election, elections will hold in Nassarawo/Binyeri State Constituency in Mayo –Belwa Local Government area. “This is where the election had to be countermanded following the death of a candidate before the polls, as well as the supplementary State Constituency election and Uba/Gaya State Constituency in Hong Local Government area”, he assured. Okoye equally declared that the position of INEC remains the same on the issue of Imo East senatorial district, where the State Governor, Chief Rochas Okorocha contested for the election, stressing that the commission will continue to withhold his certificate of return because his victory was obtained under duress. The Independent National Electoral Commission disclosed that going by the timelines for the state election, an Inter-Agency Consultative Committee on Election Security (ICCES) meeting would hold on March 29, in the state. Okoye added that there would also be revalidation of polling agents and observers for collation of results in the state between March 25 and March 31, in Rivers and Abuja simultaneously. According to him, “Thereafter there will be resumption of collation and announcement of result; and this will take place between April 2 and April 5, and it will take place in Port Harcourt. “Then on April 13, there will be supplementary elections where necessary. Thereafter, there will be an announcement of all results between the April 13 and April 15. Okoye added that April 19, had been fixed for the issuance of all outstanding Certificates of Return in relation to the elections. He also disclosed that Certificates of Return to governors-elect would be presented by supervising National Commissioners of the respective states to be assisted by state Resident Electoral Commissioners between Wednesday March 27 and March 29. Speaking in an interview after the briefing on fate of federal lawmakers yet to be issued their Certificate of Return, in spite of the declaration as winners of the elections, Okoye said most of them were already in court over the matter. He said that there were four lawmakers in that category, whose INEC refused to issue their Certificates because their results were declared under duress. “Since they have taken legal option we are going to allow the judiciary to take its course. At the end of the day, we will comply with whatever the court says,” he said. On what the commission would do if the court stoppage on Bauchi election continues, Okoye said that INEC had the result but it would continue to obey court order, even while the process must be concluded before April 29. “The truth of the matter is that this process has a constitutional window. We must complete the processes related to this governorship election and this whole election before the April 29, 2019. “Anything outside that will fall out of the constitution order and will become a Constitutional crisis. So, the people of Bauchi must know who their governor is on or before April 29,” he said. He added, “Arising from the meeting held on the March 19, between INEC and security agencies, the later has given assurance of adequate security, professional conduct and unimpeded access to all levels of the election.